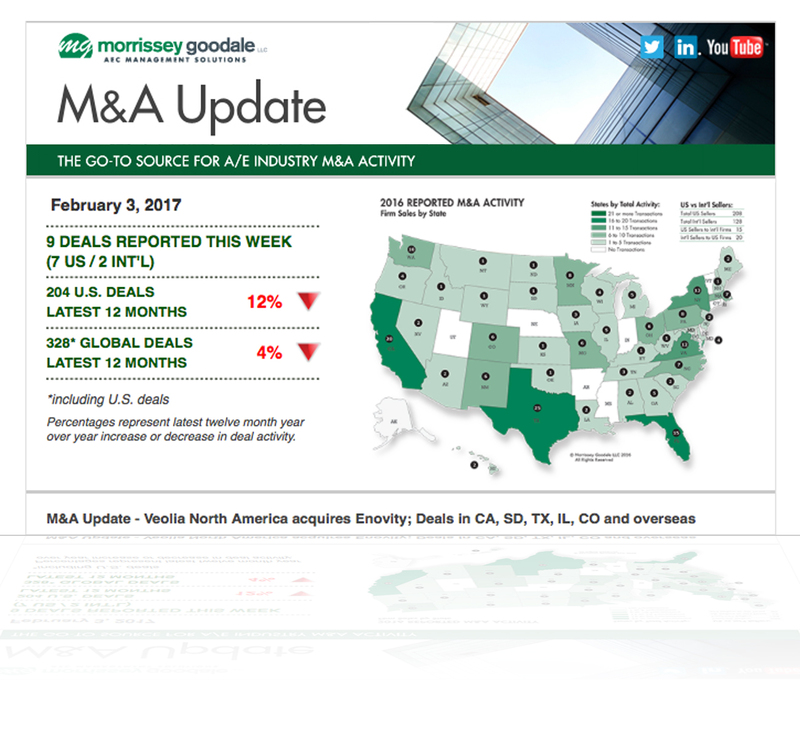 Register for Morrissey Goodale’s weekly merger and acquisition email update. Stay informed about the latest A/E industry news, trends, and ideas with Morrissey Goodale's additional free e-publications. Select your additional interests below.